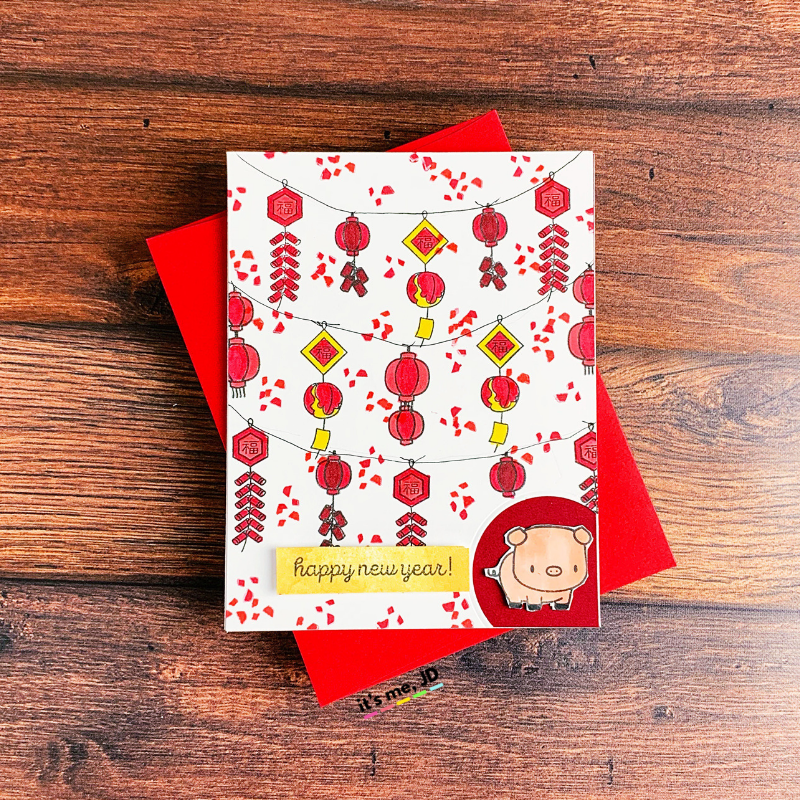 Celebrate Chinese and Vietnamese New Year, also known as Lunar New Year, with handmade greetings cards. 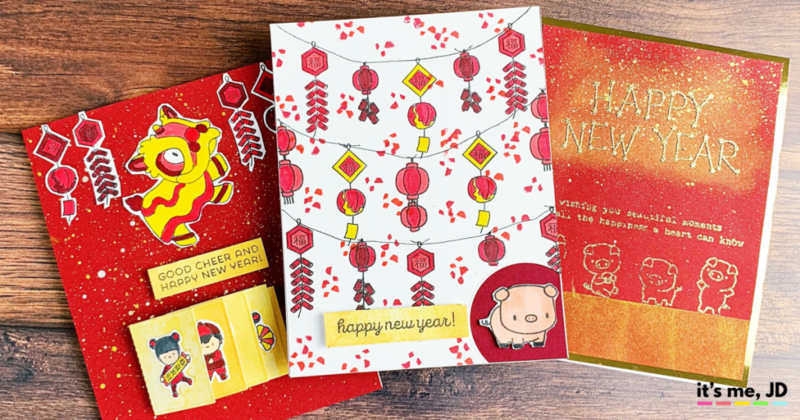 Wish your loved ones a happy, healthy, and prosperous Lunar New Year with DIY paper crafts. 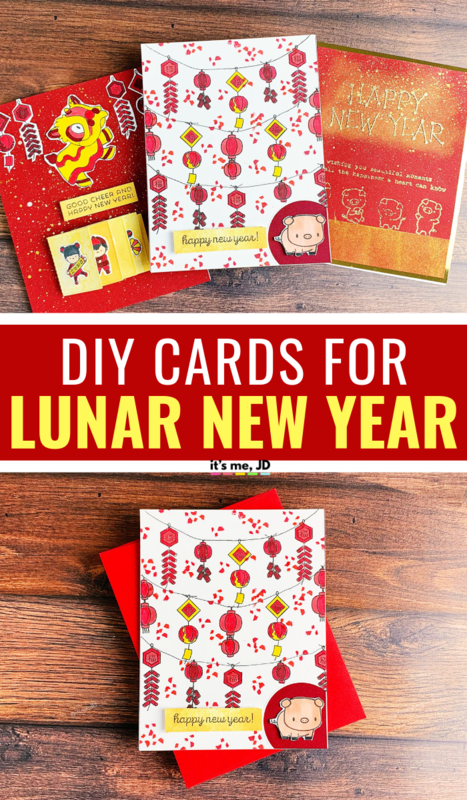 Since I am Asian American, I thought it would be great to make some cards for Lunar new year. I’m thankful that there are some companies that make stamps to celebrate this holiday. 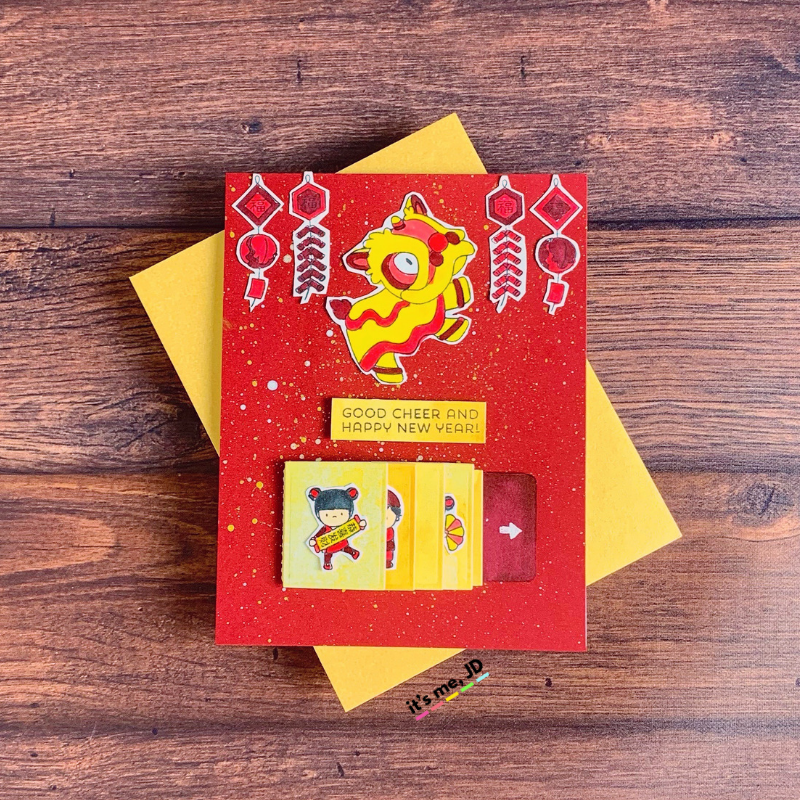 Normally, young children receive red envelopes from adults. 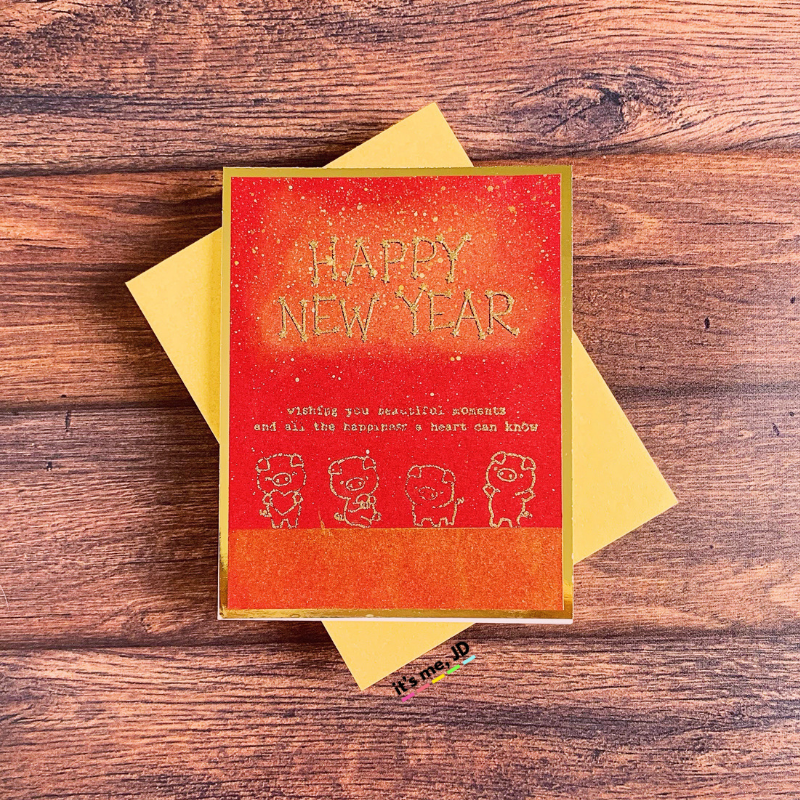 While I still do that, I wanted to wish some of my fellow adults a new year as well with fun Lunar New Year’s cards. You can watch the video tutorial below or on YouTube. 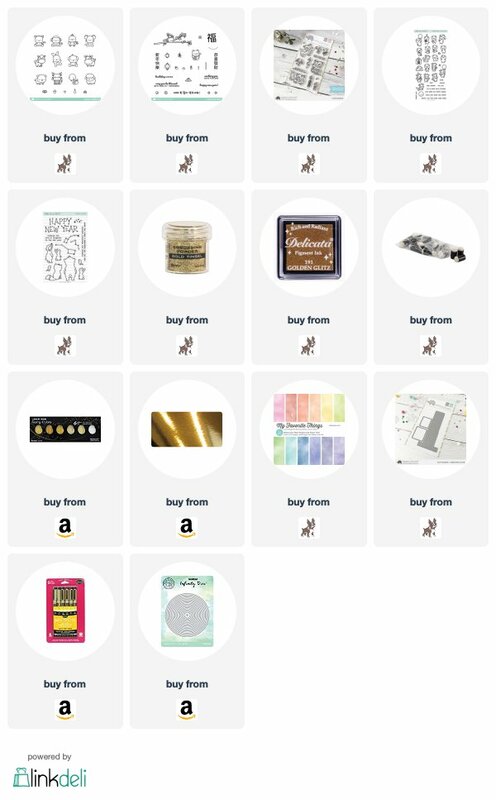 Supplies are listed below. I stamped the New Year sentiment and the piggies in versamark ink. Then I poured this embossing powder over it and heat set it. Then I used sponge daubers to blend gold ink over the New Year sentiment to make it pop. Then I flicked some gold watercolor over the top. I stamped, colored, and cut my images from this stamp set. Then I made my flip slider with this die and this watercolor cardstock. Then I flicked some gold watercolor on as well. My little pig was from this stamp set. Then I used a circle die to cut out a corner from my cardstock. I stamped these lanterns on and colored them in. Then I used this pen to create the illusion that they were suspended from a string.